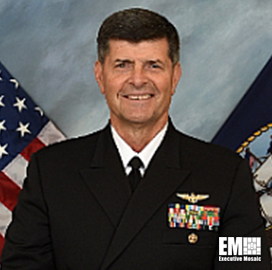 If confirmed, he succeeds Adm. John Richardson, who has held the CNO post since September 2015. Moran assumed his current role on May 31, 2016, and helped spearhead personnel reform and fleet readiness efforts across the service branch. He previously served on the staff of the Chief of Naval Personnel and U.S. Indo-Pacific Command. The former P-3 Orion pilot performed tours of duty with the Patrol Squadron 44 and 30, Patrol Reconnaissance Wing 2 and Carrier Group 6 aboard the USS Forrestal aircraft carrier. Moran holds a bachelor's degree in naval science from the U.S. Naval Academy and a master's degree from National War College.